Groups of marginalized peoples from a plethora of global cultures have claimed human rights as indigenous peoples. 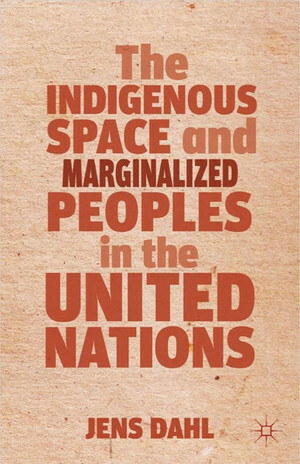 Nurtured by the United Nations, indigenous peoples have created their own space, the Indigenous Space, and have, in a unique way, been able to change UN rules and procedures and establish and control their own caucus. In this caucus, indigenous peoples create global unity because they can act relatively independent of states and their own cultures. Jens Dahl has followed this process for two decades and describes and analyzes how so many different peoples create consensus and make themselves partners with governments. Jens Dahl is adjunct professor in the Department of Regional and Cross-Cultural Studies at the University of Copenhagen. He has carried out anthropological research in the United Nations and among indigenous peoples in Greenland and other countries. He is the former director of the International Work Group for Indigenous Affairs and taught Inuit studies at the University of Copenhagen.